Mike is Co-Founder and Chief Investment Officer of Commonwealth Financial Services, LLC founded in 2003. 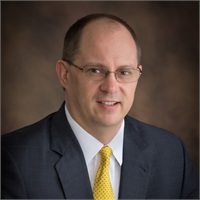 He graduated from West Virginia University’s College of Business and Economics with a Bachelor of Science Business Administration in Accounting in 1994. Since obtaining his degree, Mike has earned his CFP®, ChFC and CLU designations. He holds FINRA Series 6, 7, 24, and 63 registrations through Securities America, a Series 65 registration through Arbor Point Advisors, LLC., as well as Life and Health licenses. Mike’s significant experience helps him advise individuals, families and businesses on how to strive to increase their personal and financial wealth using comprehensive financial planning. Mike and his wife Michelle have been married since May of 1998. They have one wonderful child, Zachary and one dog, Bella. They have been residents of Parkersburg since June of 2000. In his free time, Mike enjoys spending time with his family and friends. His passions include hunting, fishing and the outdoors.